We report on a widely tunable continuous-wave single-frequency pump-resonant signal-resonant optical parametric oscillator (PRSRO) delivering 20 mW to 50 mW of idler power spanning an octave bandwidth in the mid-infrared (1.7 µm and 3.5 µm). 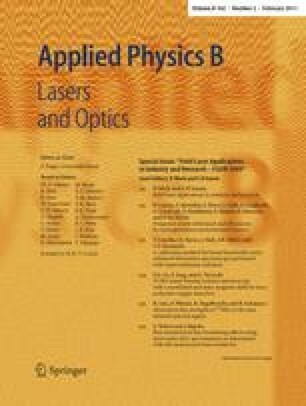 The PRSRO is pumped by a Ti:Al2O3 ring laser delivering 760 mW around λ p =795 nm, and thanks to the pump enhancement a threshold as low as 110 mW is achieved with a multi-grating temperature-tuned MgO-doped periodically-poled LiNbO3. This PRSRO will be used for multi-species trace gas sensing based on cavity ring-down spectroscopy.